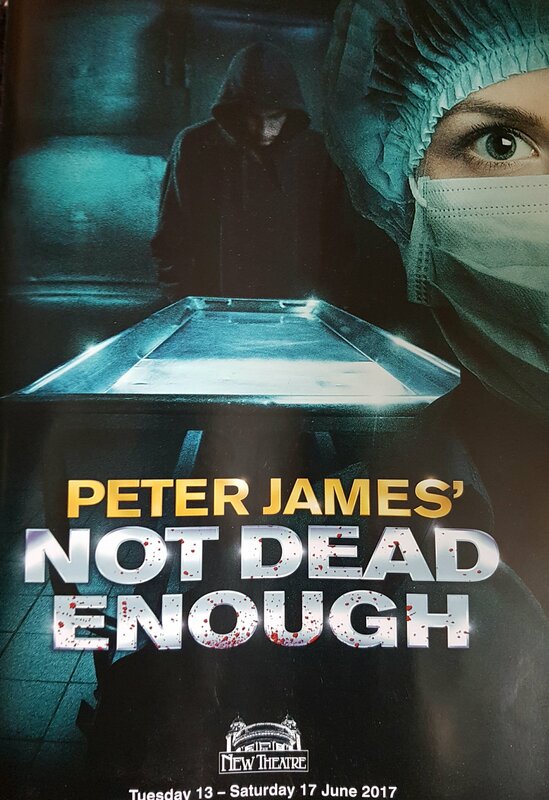 Not Dead Enough is a play based on a book by Peter James, it’s part of a series of books and apparently at least one of the previous books has already been adapted for the stage. The main character is “DS Roy Grace” played by Bill Ward, he is a detective in the classic vein, broken marriage, hard bitten and driven to get the bad guy. The other leads in this are Laura Whitmore “Cleo Morey” and Stephen Billington “Brian Bishop”, ably supported by Michael Quartey, Gemma Atkins, Gemma Stroyan, Charlotte Sutherland, Michael Luxton, Rebecca Eastham and Lukas Lee. The action takes place between Brighton and Hove Police Station and the Mortuary in early 2016. At it’s heart it is a classic ‘who-dunnit’, which means it would be unfair to give too many details in case it spoils the show if you see a different tour of this play. Suffice to say a woman is found murdered and her husband the prime suspect seems to have an iron clad alibi. I must admit I went to see this show as I wanted to see Laura Whitmore, a strikingly pretty lady who I ‘knew’ primarily for presenting the spin off show of ‘I’m a celebrity get me out of here!’ Now it turns out reading the programme that she trained at drama school prior to becoming a model and TV presenter. I am glad to say that the lady has some acting ‘chops’ and I found the whole play thoroughly entertaining, it kept me interested from start to he obligatory twist near the end. I found the whole thing was staged, lit and performed well. Go see it, or any further books adapted for the stage if you enjoy the myriad of ‘cop dramas’ on the telly.